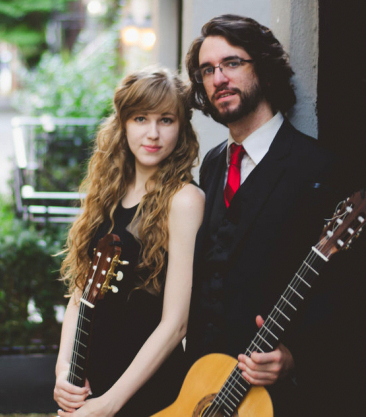 Two young talents in the world of classical guitar bring their craft to the intimate acoustic of the Grace Performance Hall. Phil Goldenberg has played in numerous festivals and recital halls across the United States, having most recently won the first prize in the 2018 Philadelphia Classical Guitar Competition. Hannah Murphy is active performer and teacher throughout the Mid-Atlantic and Northeast. Both artists earned degrees in classical guitar at Rowan University while studying with Joseph Mayes, famed student of Andres Segovia.